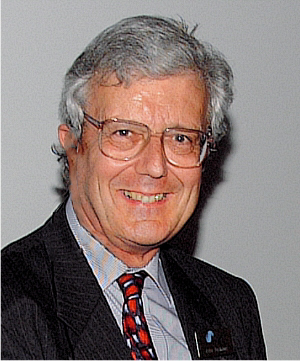 The IPS Executive Committee regrets to announce that John Andrews BSc, member 570, former Chairman and current Vice President of the IPS passed away in his sleep on the evening of 22nd November. Beginning his career in radio at the BBC as a sound mixer John went on to become Operations Manager in charge of Radio 1 & 2 studio staff. On leaving the corporation in the 1970’s he changed direction and went into marketing for large format console producers, bringing to this field the rare combination of technical knowledge and managerial experience. He was the Joint Managing Director of Alice (Stancoil Ltd) during the development of innovative analogue desks which incorporated a very early form of digital control. In the late 1980’s he joined Neve as Sales & Marketing Director overseeing a collaboration with Mike Law formally of Alice then BCD Audio, which produced the ground breaking Neve 66 series of consoles. He became Marketing Director for Solid State Logic in 1996, a position he held until 2000. During that period he was very influential in their successful transition into the digital world. He was a prolific writer in the professional audio publishing world, combining his well-known linguistic erudition with technical knowledge. An early member of the then IBS he became Chairman, setting in place many of the structures and methodologies we still use today. He was justifiably proud to have been the initial proposer to the AES of the now widely adopted iXML metadata standard. His writing, and the contacts he made through it, helped our Institute gain its reputation worldwide. In recognition for this, and for his achievements as Chairman, he was made Vice President of the IPS. Never a person to mince his words or hold back his views, John was on occasion a scary force to be reckoned with. A colleague said of him “his gentlemanly charm and persistence was respected both inside the company, and in the customer arena”. Recently he was diagnosed with early signs of Parkinsons disease but died after suffering two weeks of severe pneumonia in combination with heart complications. He leaves his wife and daughter to whom we send deepest sympathies. There will be no funeral but a private cremation.